Only 13% don't think it's important. A study made by EA's Global Consumer Insights team has found that 56 percent of 2,252 survey participants consider it important for companies to make their games more inclusive. 31 percent were "neutral" on the matter, and 13 percent said that inclusion was "not important". The survey was sent out in May last year, and targeted "decision makers in entertainment purchases" with an age range of 13-54. EA's Jenny Shi led the study and posted the findings earlier this month (cheers, @lisaquestions). 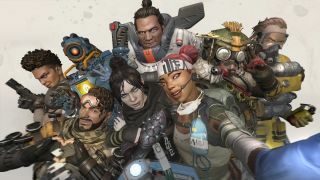 Inclusion is a broad term, but Shi provided examples to give participants additional context, such as character creators that allow for a range of skin colours and body sizes, stories that include culturally diverse characters, healthy and friendly in-game chat experiences, and features that "allow those with special needs to play". 45 percent that they would be "likelier to play" a game that included these features. The survey implies that backlash against inclusive features comes from a minority of players. It's not just that participants were happy with more inclusive games—they wanted games to go further. While over 50 percent believed representation was "getting better" across the board, the report found that many players wanted improved quality of representation. "Despite the notable increase in representation, many players stress that diversity and inclusion shouldn’t simply be a check box for game developers and that it should come from a genuine place. They don’t just want to see more variety of characters. They also want those characters to seem authentic and have substantial, meaningful roles instead of falling into stereotypes." The survey also examined participants' biggest gaming concerns. Toxicity was the second biggest concern among the players in the survey, just under game quality. 61 percent were very or somewhat concerned about toxicity, with 14 percent saying that unfriendly communities have put them off playing some games. Most also believe that it's not getting better. Over 50 percent said that toxicity management and player behaviour have stayed the same in the past two years. Shi is planning to continue the research to define disruptive behaviour and trying to come up with effective consequences.